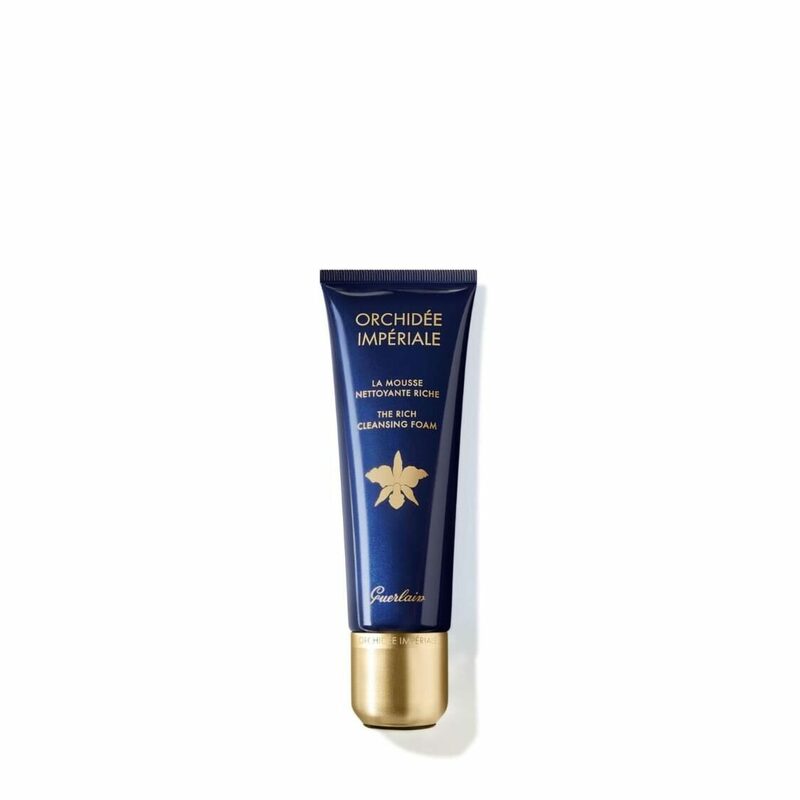 Enriched with the exceptional moisturising power of the new Orchid Essential Water complex, coupled with the regenerative power of Cell Respiration™ technology, the Rich Cleansing Foam is an essential stage of the Guerlain Orchidée Impériale Complete Care ritual. With a pH close to that of the skin (pH 6.3), this delicate, creamy foam cleanses and purifies. It preserves the skin’s balance and hydration, offering exceptional efficacy and comfort. Free from impurities and microparticles of pollution, the skin is soft and supple, its texture refined, and the complexion radiant and glowing.